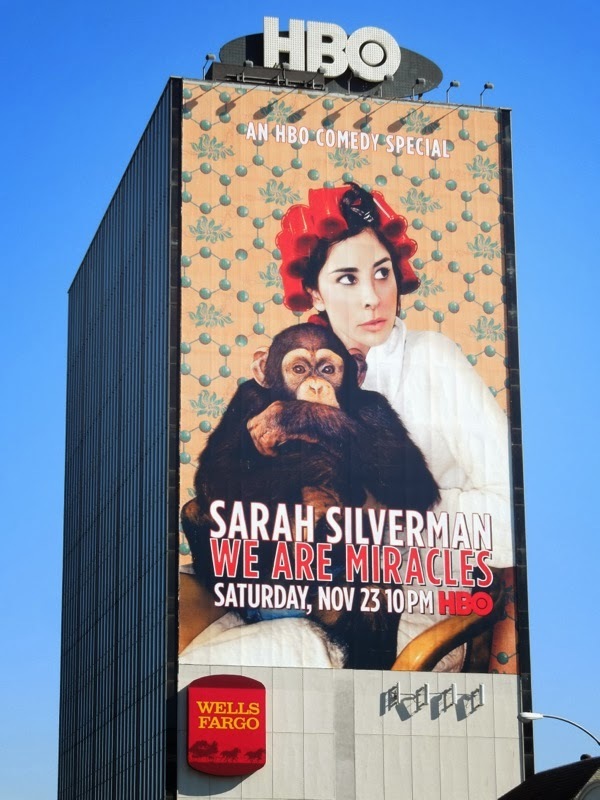 At times we all need something to laugh about and some much needed comedy in our lives, and fortunately this month Sarah Silverman is delivering the chuckles in a big way. 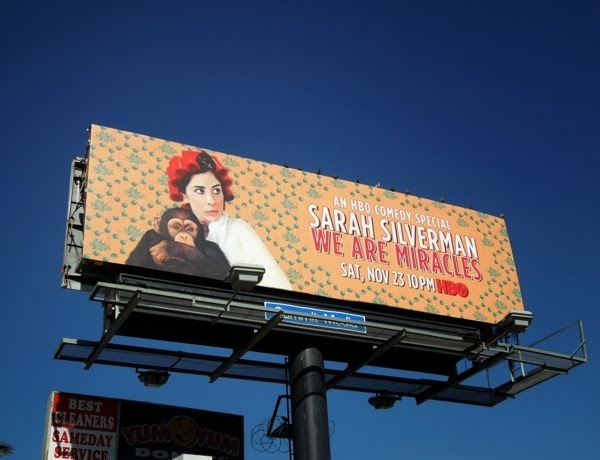 The Emmy-winning comedienne is headlining her first comedy special for HBO, which was filmed in front of an intimate audience in L.A. in May earlier this year. 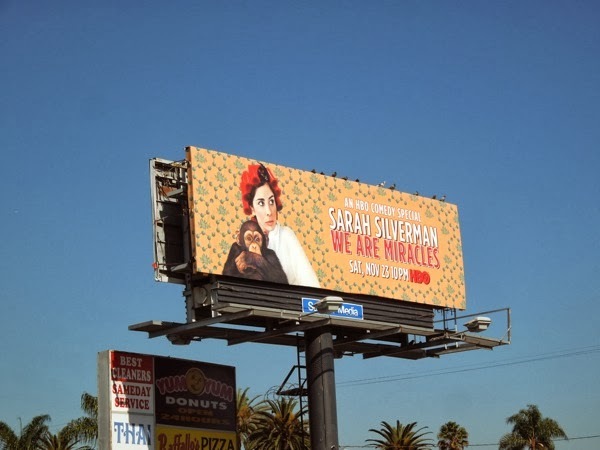 Sometimes you have got to forget politically correct animal activists when chimps are involved, they're just so darn cute (and we're sure this is a close personal friend of Sarah Silverman's anyway). 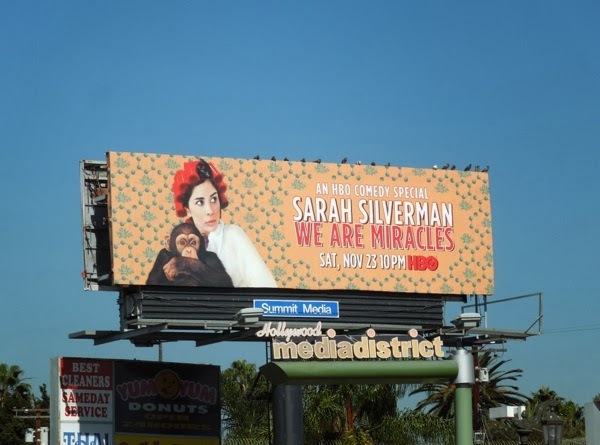 Chimpanzees and the funny lady herself in hair rollers aside, Daily Billboard also likes the DNA molecule-like wallpaper as the background for these ad creatives which can only hint at her comedic musings on religion, politics, the government, personal rights and her private parts that she'll explore in We Are Miracles. 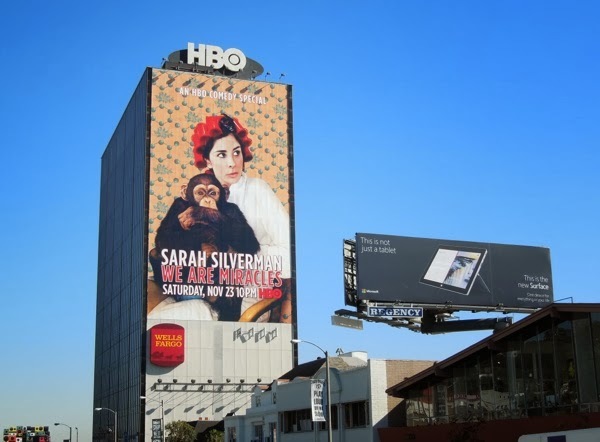 This wonderfully bizarre giant-sized billboard for the HBO comedy special was spied towering over L.A.'s Sunset Strip on November 14, whilst the standard landscape billboard was spotted on October 30 at the intersection of Melrose and Highland Avenues. 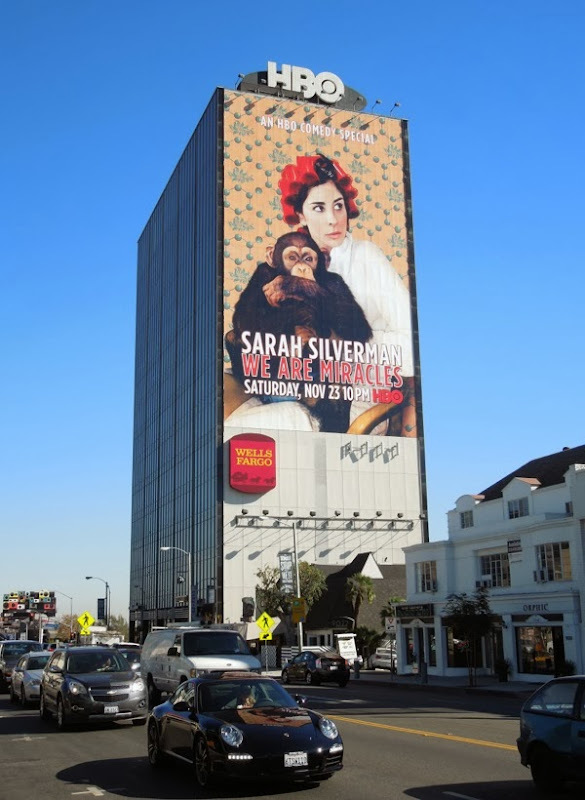 Daily Billboard dares you not to crack a glimmer of a smile when you see these wonderfully peculiar billboards. 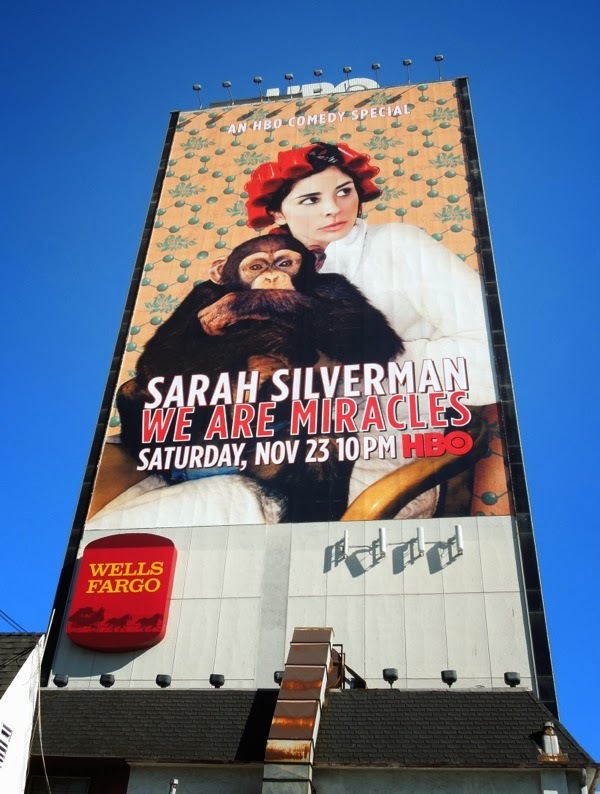 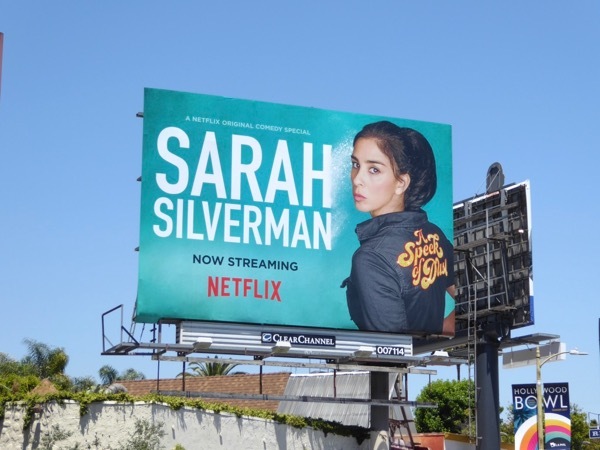 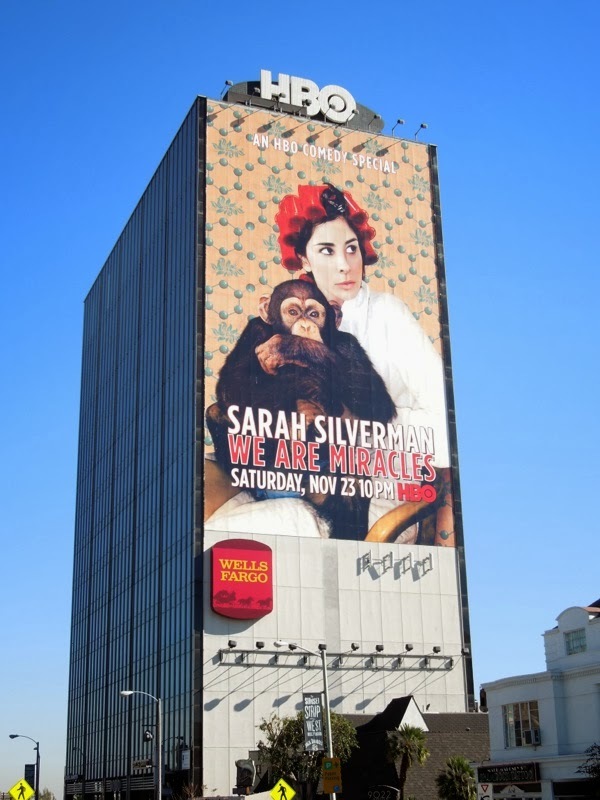 UPDATED: Here's also a Netflix stand-up comedy special billboard for Sarah Silverman: A Speck of Dust snapped along the Sunset Strip on June 5, 2017.